Maybe all it takes to convince dubious Texans that climate change is not a vast left-wing conspiracy is a tropical storm that doesn't pan out. We on the Texas Gulf Coast, including this reviewer who lives in Port Lavaca, were praying that Tropical Storm Don would come ashore with at least five inches of rain on Friday, July 29, 2011 and put a dent in our long-standing drought. (The wimpy storm made landfall at Baffin Bay, about 40 miles south of Corpus Christi, TX, late Friday night and then fizzled: Link: http://www.gonzalescannon.com/node/5969). Maybe Don was angry at the storm-namers who didn't name him "Donaldo," or "The Donald," because his arrival left only a trace of rain, just enough to remove the dust on my PT Cruiser. I've long been a semi-believer in climate change, blaming most of it on the People's Republic of China, by far the world's biggest polluter of air and water (for more about that see my upcoming review of a book called "Death by China") , but I'm told conservative Texans would dispute the loud and clear message on climate change presented in "Clean Energy Nation: Freeing America from the Tyranny of Fossil Fuels" (Amacom (American Management Association), 320 pages, $27.95) by Congressman Jerry McNerney, Ph.D, and Martin Cheek. McNerney, 60, a renewable energy engineer and one of the few members of either house of Congress with expertise in energy independence, and California-based journalist Cheek lay out the facts on peak oil -- and peak coal -- and make an impassioned argument for drastically reducing dependency on fossil fuels and developing sustainable, readily available energy sources—solar, wind, biofuel, geothermal, and hydrogen-based power. Despite rapid advances in recent years, including promotion of wind power by a politician considered by many to be unfriendly to anything that isn't "Texas Tea," we're still behind much of the world in making the inevitable transition from liquid or solid carbon-based fossil fuel to renewable sources, they write. Now that I've got your attention about that Texas politician, the envelope please: It's none other than former President George W. Bush, who as governor of Texas ("The Power of Leadership," Pages 245-6) in 1996 told Pat Wood, then chairman of the state's Public Utility Commission: "Pat, we like wind." The authors write: "The astonished Wood responded with the question: 'We What?' Bush answered, 'You heard me. Go get smart on wind.'" The upshot of all this is that today Texas leads the nation in wind power generation, oustripping pioneer California. Now, if we Texans could only overcome the stranglehold of the American Petroleum Institute (API) -- home of that attractive blonde pants suit lady in the TV commercials who's always urging us to "drill, baby, drill" -- and develop solar power in a state blessed with an abundance of sunny days. We already have energy deregulation, allowing consumers to pick and choose among energy providers. This is something most states still don't have and it results in lower energy costs because the energy companies really do compete for customers. McNerney and Cheek lay out a brief history of how we became addicted to petroleum in the first place and introduce us to a man who needs no introduction at the API, Dr. Marion King Hubbert, the native Texan geologist who in 1956, in a speech in San Antonio, correctly predicted the point where we would reach a peak in oil production -- he said between 1965 and 1971. His employer and the entire petroleum industry urged him to tone down his prediction, based on rigorous math, but being a stubborn Texan (and no one is more stubborn than a stubborn Texan!) Hubbert said no and went ahead. Hubbert's Peak was reached in 1970 and production has declined ever since. The collaboration between an engineer with a doctorate in mathematics and an experienced journalist has resulted in a wonderfully readable book that a math-deprived English major like the reviewer -- and others like him -- can understand and even enjoy. If you're into denial about climate change and global warming, you'll get no support from the authors, who believe we're in the midst of changes that could put New York City and Florida underwater unless we change our ways and wean ourselves from hydrocarbons. A book that praises George W. Bush for his leadership in alternative energy and Al Gore for his book and subsequent documentary “An Inconvenient Truth” is indeed both a sobering assessment of our nation’s energy policies and a stirring call for change. Dangerous CO2 emissions, massive oil spills, dwindling supplies—the problems with fossil fuels are driving a long-overdue reassessment of our nation’s energy policies. Without minimizing the obstacles, the authors explore what can be done — and what is already working both here and abroad — to resolve the problem. With faith in ingenious, persistent Americans, McNerney and Cheek shed light on the potential of alternative energy sources to transform our future, creating jobs, strengthening the economy and national security, and restoring pride in America. “A bright tomorrow is indeed within our reach,” McNerney says, if only we put aside the petty squabbling that seems to accompany everything these days. We need the spirit enunciated by John F. Kennedy that accomplished the goal of putting humans on the moon and bringing them back safely. 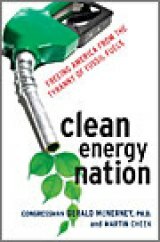 The authors of "Clean Energy Nation," use the latest rigorous scientific research combined with a firm grasp of political, economic, and practical realities to assess various sustainable energy sources — sun, wind, water, plant-matter, uranium, hydrogen, and more — considering both benefits and disadvantages of their widespread use in American society. Building on this foundation, McNerney and Cheek set concrete, achievable goals for a strong, vibrant, prosperous America. ● National security, revealing how our dependence on foreign oil is affecting our military infrastructure and troops—and how breaking free could make us safer from terrorist threats, such as strikes on oil tankers and ports of entry. ● The environment, shows in detail how global warming is a threat to the entire planet and how each form of energy must be developed and used with future impacts in mind. ● The economy, focusing on how investing in clean-energy will benefit America’s workers, creating hundreds of thousands of “green-collar” jobs—designing, constructing, and maintaining renewable energy products—that can’t be outsourced to other nations. ● Transportation, from the promise of and problems with electric cars and cars with hydrogen-powered fuel cells to a case for increasing federal funding for public transportation and supporting “smart-growth” programs in urban areas. ● Agriculture, exposing the role of hydrocarbons in enabling people throughout the world to enjoy the fruits of the green revolution, highlighting how America’s farmers are using innovative solar and turbine technology, and delving into controversy over biofuels. ● Public health, with a hard look at the link between fossil-fuel pollutants and America’s growing asthma epidemic, as well as the global rise of global warming-related illnesses such as diarrhea, malnutrition, and malaria, which afflict some 5 million people a year. ● Education, driving home the need for better schools to serve our future energy needs— that is, America must cultivate young minds for careers in biotechnology, agricultural science, green architecture, government energy policy, and other crucial areas. The sunshine striking the surface of our planet annually provides more than 10,000 times the amount of energy that all of humanity can use in a year. Harvesting only a fraction of the sun’s power would easily end our dependence on fossil fuels. Currently, solar-produced electricity makes up less than 1 percent of the world’s production of power. Exciting innovations: A thermal technology that collects sunshine, through the strategic arrangement of hundred of flat mirrors, and re-directs it to a central receiver linked to a large solar power plant. * Commonplace applications of a technology originally developed for space exploration satellites: photovoltaic cells that absorb direct sunlight to generate electricity. Drawbacks: The power of the sun depends on the seasonal climate and weather of a location. There’s also the obvious fact that sun power can be produced only during daylight hours. Although sunshine is free, solar energy is not yet cost competitive with fossil-fuel energy. Outlook: To maximize the potential of sun power, scientists must develop more efficient and cost-effective energy storage systems and ways to transport power in a specific region. About 2 percent of the sun’s energy received by our planet is converted into air motion. Today, the U.S. gets a little over 1 percent of its electric power supplied by wind energy. Exciting innovations: State-of-the-art windmills, featuring aerodynamic turbine blades inspired by modern airplane design. Drawbacks: Aside from the inconsistent delivery of wind, ideal wind farm sites are often far from urban areas where demand is greater, thus requiring substantial money to construct transmission lines and substations to bring the wind-generated electricity to customers. Power harvested from the wind must also overcome common misperceptions: wind turbines are noisy (not modern models) and wind turbines massacre birds that get caught in the path of the spinning blades (more birds are killed by farming pesticides and free-roaming house cats). Outlook: As turbine technology improves and mass production reaches a critical cost-effective level, wind as an energy resource will continue to see major growth opportunities. Nearly three-quarters of our globe is covered by this versatile liquid substance. About 24 percent of the world’s electric power is currently produced by hydropower, the force of water. In America, hydropower makes up 12 percent of the generated electricity. Drawbacks: The massive dam structures necessary to hold back water are expensive and time-consuming to build. 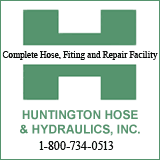 They also require continuous maintenance to make sure they are safe from a calamitous failure. What’s more, dams have a severe impact on the environment, often disrupting the local plant and animal ecology. Exciting innovations: An invention for an ocean-powered energy source applying the gravitational energy from the rise and fall of the tides. A novel technology called ocean thermal energy conversion (OTEC), working on the principle that the sea collects most of the sun’s energy that shines on it. Outlook: Innovative approaches to harvesting ocean energy are still in their pioneering stages. With enough research and development, however, they might provide an important energy resource during the coming decades. Consider a battery that collects energy from the sun and stores it in a system that creates no pollution, costs zero dollars to build, and recharges itself. This “battery” is green vegetation, the source of all biofuels, which power human beings. Americans are increasingly looking at the biofuels ethanol (an alcohol made from crops such as sugarcane and corn) and biodiesel (a vegetable oil made from crops including canola and soybeans) to power vehicles. Exciting innovations: Finding energy gold in America’s garbage: landfill sites featuring a buried web of perforated pipes that collect the methane released from decomposed vegetable matter and carry it to a power station, where it is burned to generate electricity. Drawbacks: Many farmers are not yet using cost-effective techniques to grow biofuel crops. Money for water, fertilizer, and diesel fuel for harvesting equipment adds to the price of production and makes biofuels—especially corn-based ethanol—less competitive than fossil fuels. Also, critics warn that using fertile land to grow biofuel crops will lead to food shortages and raise prices at the supermarket. Outlook: Overall, much more research and development needs to be done to implement the large-scale production of biofuels for our nation’s transportation needs. Yet, in the next few decades, life power will almost certainly help America gain its energy independence from fossil fuels while strengthening our nation’s agricultural economy. Uranium, the element at the foundation of nuclear power, can be found extensively throughout the planet. It is 500 times more plentiful than gold. A modern nuclear plant produces about 1,000 megawatts of power to supply electricity to 400,000 homes. The U.S. has 104 operating reactors, more than any other country, and they produce about 20 percent of our nation’s electricity. Drawbacks: Nuclear energy is expensive to produce commercially. Nuclear reactors typically cost $3 billion or more to construct, and often face massive cost overruns. Then, there’s the public worry over radiation leaks and the dilemma of how to dispose of radioactive waste without hazard to public safety or the environment. Another problem has to do with the threats to national security we face in the post-9/11 world. A nuclear power plant could be an attractive target for a terrorist strike. Exciting innovations: A special type of nuclear energy plant called a fusion reactor, which would generate power by fusing the nuclei of hydrogen atoms. If researchers can find a way to do this, safely and economically, we would have access to massive reservoirs of energy. Future outlook: Although it holds tremendous promise for humankind, fusion power appears to be decades away. In the meantime, policymakers will continue to weigh the benefits of nuclear power against the costs and the dangers. Natural hot springs, geysers, and erupting volcanoes give evidence to the tremendous energy supply kept deep within the Earth. Today, the world annually produces about 8,000 megawatts of electrical power from geothermal energy, out of which the U.S. taps 2,800 megawatts. Exciting innovations: Geothermal power stations. Usually small, these plants produce low cost steam energy without any toll on the natural world. Drawbacks: Power plants can be built only in specific regions of our planet where molten rock is near enough to the surface to heat water. What’s more, these stations might trigger seismic activity along earthquake fault lines. Outlook: With technological advances in geothermal systems, Americans might one day soon safely and economically tap into the energy of the tremendous heat in the heart of our planet. The most abundant element, hydrogen makes up about 75 percent of the universe’s elemental mass. In a gaseous state, hydrogen can be combusted to run turbines to generate electricity. Exciting innovations: Technologies using the simplest life forms—algae and anaerobic bacteria—to split water molecules, thus releasing the hydrogen atoms from the oxygen, and to release the hydrogen contained in carbohydrates in the waste at food-manufacturing plants. Drawbacks: A great deal of money will be needed to construct hydrogen-production plants and also to equip the world’s vehicles with fuel cells or hydrogen-burning engines. Another challenge is public concern about hydrogen’s potential volatility—fueled by horrific newsreel images of the hydrogen-filled passenger airship Hindenburg bursting into a fireball. However, hydrogen is significantly less flammable than either gasoline or natural gas. Outlook: Despite its many benefits as natural, plentiful, nonpolluting energy medium, hydrogen has to overcome daunting financial hurdles in order to compete with fossil fuels. Editor's note: The preceding was adapted from Clean Energy Nation: Freeing America from the Tyranny of Fossil Fuels by Congressman Jerry McNerney, Ph.D., and Martin Cheek. 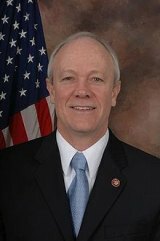 REP. JERRY McNERNEY, PH.D., of Pleasanton, CA was elected to California’s 11th Congressional District in November 2006. He is Democrat and is a member of the House Select Committee on Global Warming and Energy Independence and the House Committee on Science and Technology. Prior to serving in Congress, he was an energy consultant for Pacific Gas and Electric, FlowWind, and the Electric Power Research Institute. He was educated at the University of New Mexico in Albuquerque, where he earned his Ph.D in 1981. MARTIN CHEEK of Morgan Hill, CA. has worked as a journalist for more than two decades, specializing in science and high-tech industry. Website: for more information about the book, visit www.cleanenergynation.us.